My life has been super hectic lately, mostly due to a sudden move and taking on a new home project and being generally super busy like so many of us are in the fall. Thanks to all the craziness, getting my thoughts sorted out is a basically impossible task, so here are just some random food related tidbits I’ve had over the past few weeks. 1. Thank God fall is here and we can finally eat fall foods. Give me all the chili! 3. Foodie culture has really taken off these days. Between the internet and the Food Network, we’ve had our worlds opened up to so much stuff, which is fantastic, but it’s also lead to an increased snobbery about food. That stinks. Here’s the thing, we all know what is healthy for us and what isn’t, so if your friend eats fast food or orders chicken tenders when everyone else is eating salads, don’t be the person that tells them about saturated fat or how McDonald’s doesn’t deteriorate or how hot dogs are made. We all know. Nobody likes to be food shamed. 4. Eat what you like! If you’re out with friends and they’re all “Let’s get the liver pate” and you don’t want it, feel free to say, “I’m not really into organ meats, I think I’m going to get the fried pickles.” Don’t be peer pressured into getting something you don’t want! It’s your money and your dining experience, so you do you. 5. Went to Capers recently ‘cause I’m living that West Little Rock life right now and it was so good! I didn’t get any photos because I was hungry like the wolf and forgot, but you should go out there and get the walleye. It’s delicious. And the wine specials are great. Plus, they have these biscuit rolls that I can’t fully describe, but I think the over/under on how many I could eat is somewhere around 20. 6. 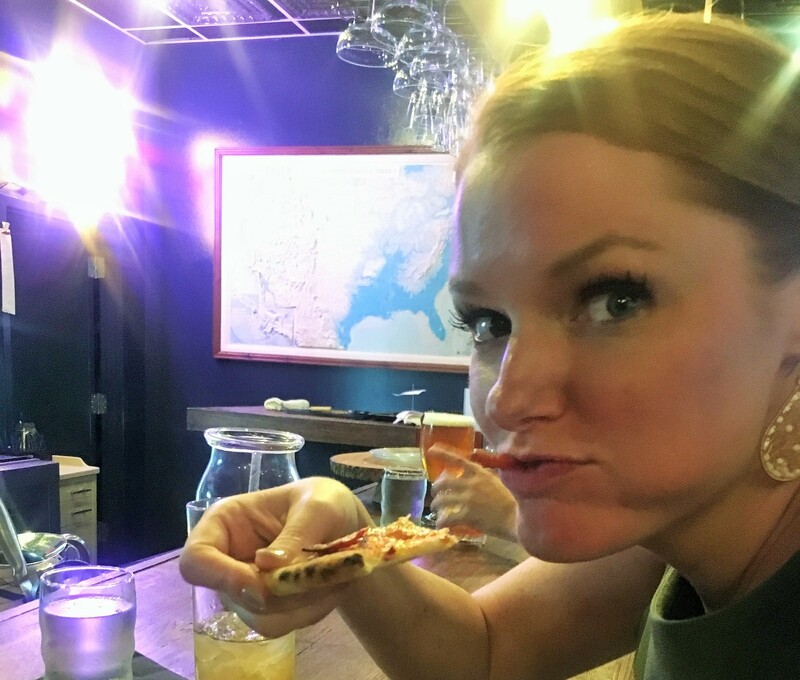 Speaking of restaurants I looooove, if The Pizzeria isn’t already in your rotation, go see them! We’re back on the Spinarizo, which is the first pizza we ever ordered there and it’s friggin’ delicious. If you’re looking for a more traditional greasy pizza, go for the Ford, it’s got bacon, enough said. 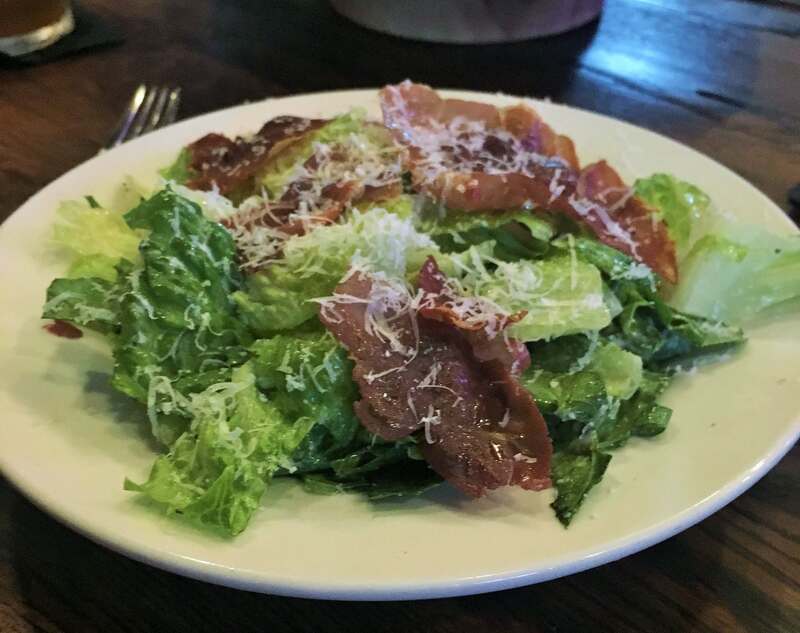 We also discovered that you can get the Caesar and add crisped prosciutto. It’s a like a salty crunchy meat crouton and it’s the jam! AND FOR ALL THAT IS GOOD IN THIS WORLD GET THE OATMEAL WHOOPIE PIE. Unless you don’t like oatmeal, then it’s probably not for you. Also, I apologize in advance if you’re at The Pizzeria the same time as me and happen to be sitting at the bar where I am because I will straight up harass you into getting this for dessert. Shout out to the couple that we did this to on Tuesday, you were great sports about it! 7. During the move, we’ve been eating out pretty exclusively for several weeks and it’s reminded me that while fun for a while, it’s hard to beat a home cooked meal. I’m currently taking favorite casserole recipes and I’m not scared of a cream of something soup. 8. Waitr is here now to give BiteSquad some competition and I’m so pumped! They have a limited list right now, but the will deliver El Palenque! Also, Guillermo’s. I had a breakfast burrito and a latte delivered to my door at 10 a.m. on a Saturday morning and I’m not convinced life could get any better. A note about the waffle: while super delicious, it doesn’t travel well and is pretty soft by the time it gets to your house. I don’t mind, the flavor is good and I will keep ordering it, but for waffle purists who like a good crisp outside and soft middle, this may not be a good choice for you. 9. Did I mention I’m not into organ meats? 10. Things in the world are super heavy these days, so I really encourage you to take some time out and share a meal with people you love. You’ll never be sad about the time you spent lingering around a table with good friends or family. There’s also no way to understate the ability of good food to soothe a soul. Here’s to eating and doing what you want in life because anything else is a waste of time. Happy eating!